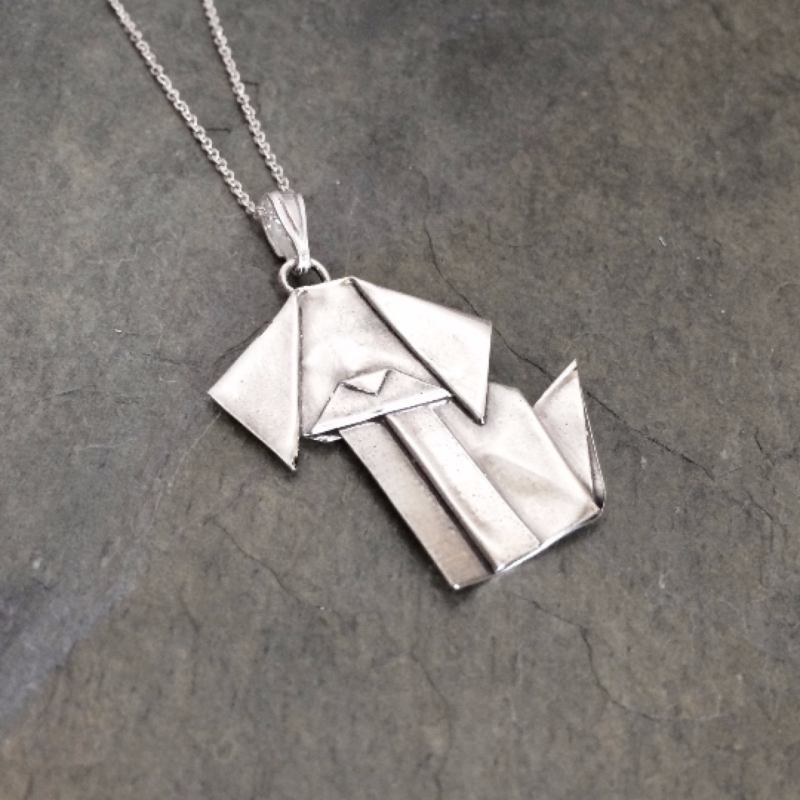 The origami dog pendant continues to be one of my top sellers. 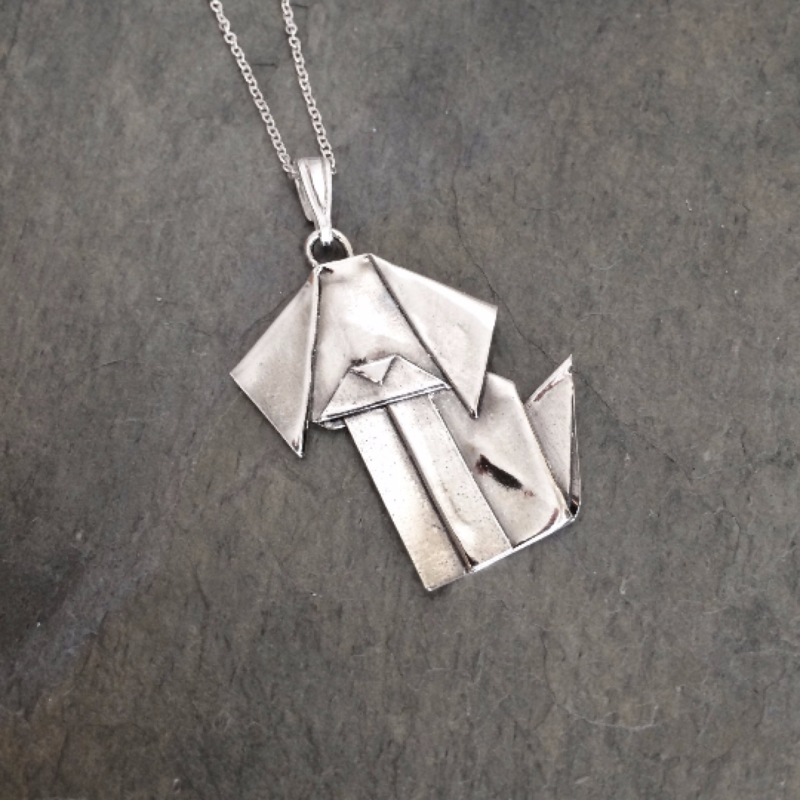 Each one is folded by hand from sheets of real silver, so there will be slight differences in the details. A head may be turned slightly, ears and tail may be a bit larger or smaller. But they're all cute enough to wear anywhere. 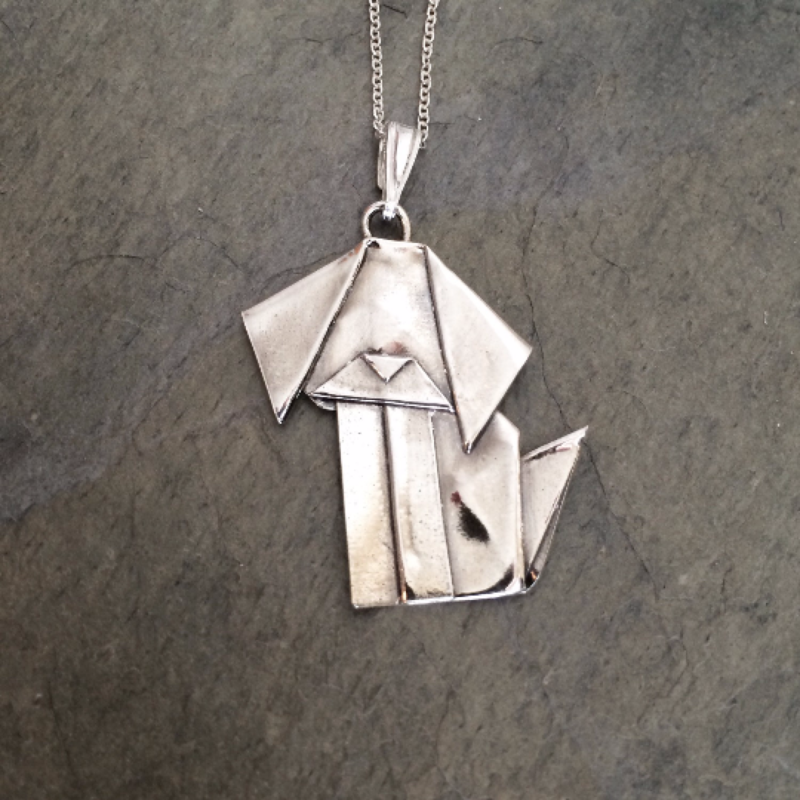 This pendant is .999 fine silver, kiln fired, and highly polished. I then put it through an antiquing process to bring out the detail. Weight is 2.7 grams, or .097 oz. Size is 1.25 inches high. 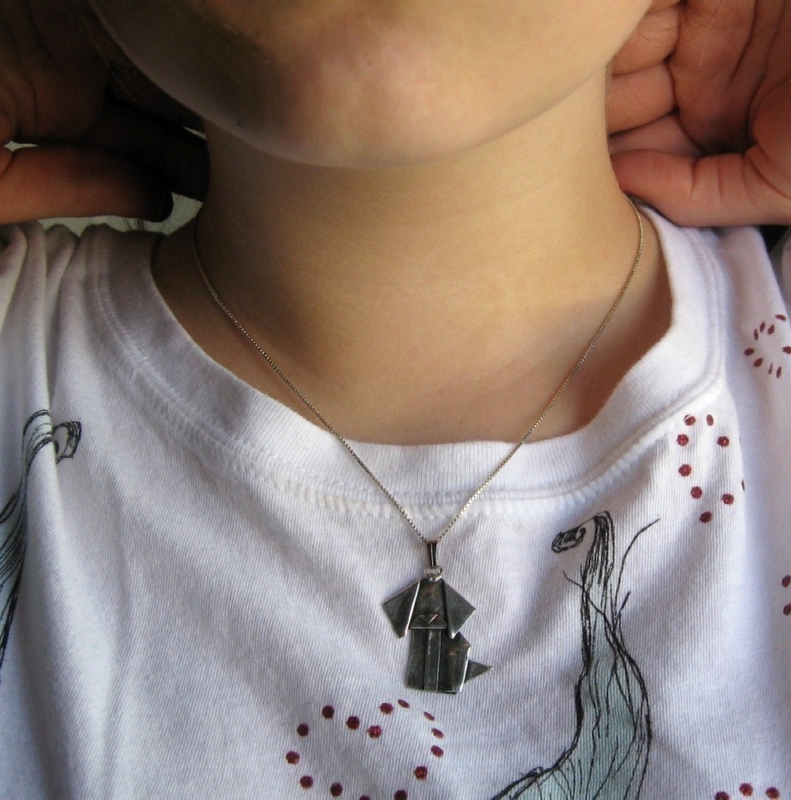 Comes complete with bail and 18 inch sterling silver round link chain, as shown. All my items are ready made, and usually ship out within one business day. Ships in a tissue lined jewelry box, perfect for gifting.